If you're looking for an affordable premium sedan that offers an excellent price versus content ratio, the Genesis has got your name all over it. 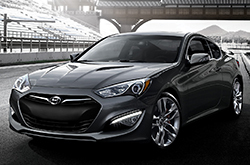 Visit us to test drive a 2016 Hyundai Genesis in Arlington and try out both the sedan and coupe! Four-door models are offered in 3.8 and 5.0 Ultimate trim levels, while two-door models come in base, R-Spec and Ultimate trims. Take a test drive and you'll see why The Car Connection's 2016 Hyundai Genesis review calls the near-luxury car a "legitimate heavyweight contender." Offering more high-end features and technologies than many of its rivals, Genesis stands apart from the crowd. Taking the driving experience to new heights, the sedan offers superb standard features like navigation, heated front seats, HD radio and a rearview camera. Coupe models are also nicely equipped, offering standard amenities like Bluetooth, keyless entry/ignition and an auto-dimming rearview mirror on base models, while heated seats and navigation are included on upper coupe trims. Several excellent engines are available on the 2016 Hyundai Genesis in Arlington, as well. 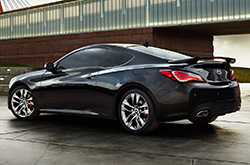 Starting with the Genesis 3.8 sedan there's a 311-horsepower 3.8L V6 engine. This is followed by a more powerful 420-horsepower 5.0L V8 on the Genesis 5.0 Ultimate. All coupe models come with the same engine: a 348-horsepower 3.8L V6. Rear-wheel drive is standard on all models. As stated in many 2016 Hyundai Genesis reviews, safety is one of the car's top highlights, in addition to features and performance. Just a sample of available safety tech on the sedan includes lane-keep assist, lane-departure warning, blind-spot monitoring and adaptive cruise control. These technologies complement Genesis' standard safety features, which include a comprehensive airbag system, traction and stability control, and antilock brakes. Stop by Vandergriff Hyundai to browse Genesis models! We have a broad selection with many exterior and interior colors to choose from. If you've ever thought about purchasing vehicles like the 2016 Mercedes Benz E550, Audi A4, BMW 5 Series, Lexus IS 350 and the Infiniti Q50 in Arlington, compare Hyundai's new 2016 Genesis first; we're positive that it's perfectly fitted for you. You'll be pleased with the Genesis's long list of winning qualities, including its inexpensive sticker price and progressive onboard technologies. 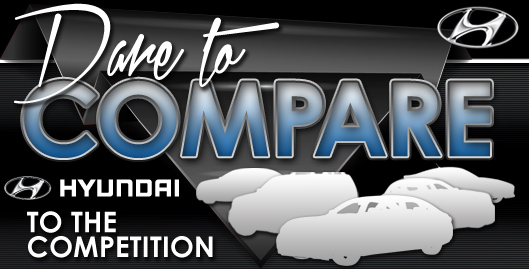 Hundreds of Arlington Hyundai drivers choose it because it's a truly amazing value; just compare its price to the competition. For more information, check out the Genesis's quick-facts list under this text. To make your car search less time consuming, Vandergriff Hyunadi is happy to offer research tools like the 2016 Genesis review above, as well as reviews of prior models. We stand out from herd of local dealers by offering reviews offered to assist you in your vehicle search. Each paragraph is filled with essential facts, including info about cabin features and more - everything you need to make an educated purchasing decision. Is the Genesis not right for you? 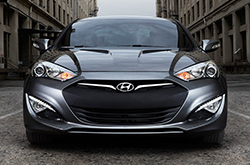 Use our Hyundai reviews and car comparisons to learn about other finely crafted vehicles for sale now at Vandergriff Hyunadi.